Introducing the Cuckoo Luckoo Box by Black Tie Mercantile, the newest packaging system designed for the unique challenges of E-Commerce. Whether you choose to ship directly to a recipient or to yourself, your item is guaranteed to arrive exactly as described and photographed. 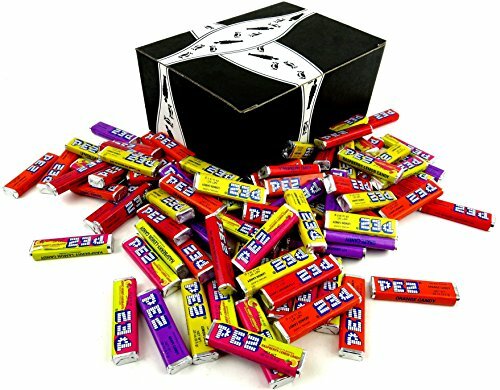 Invented in Vienna, Austria in 1927 by Eduard Haas III, PEZ Candy was originally a compressed peppermint; The name PEZ comes from 'Pfefferminze', the German word for peppermint. What started as an aid for those quitting smoking quickly turned into a worldwide phenomenon because of the fun, interactive, and collectible dispensers. Today, PEZ has become a pop culture icon with over 3 billion PEZ Candies consumed in the United States alone each year. Now get a Cuckoo Luckoo Box for any occasion featuring one 2 lb bag of PEZ Candy Refills.